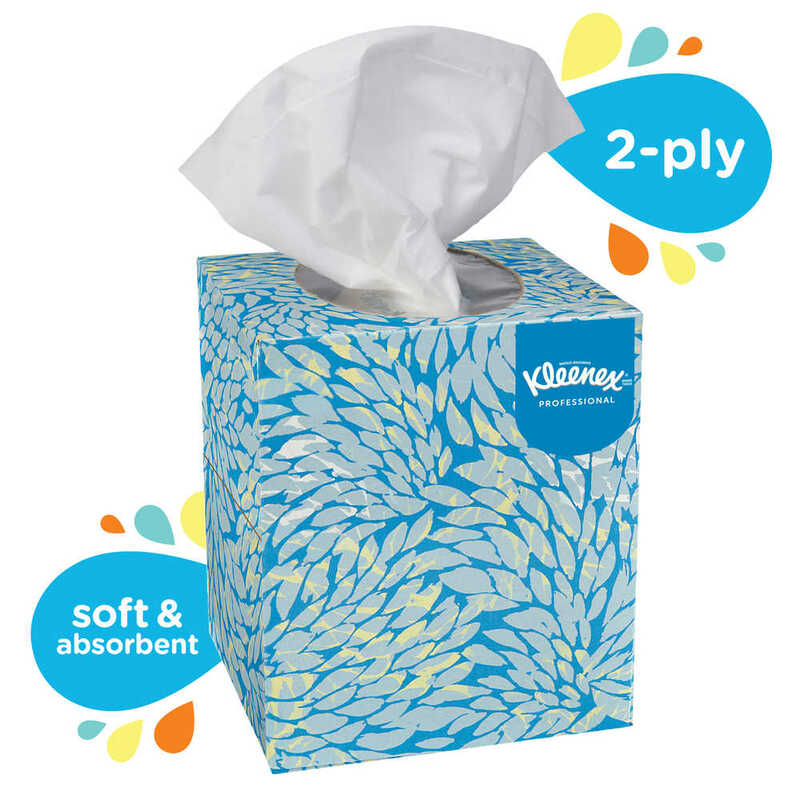 All facial tissues are not created equal. 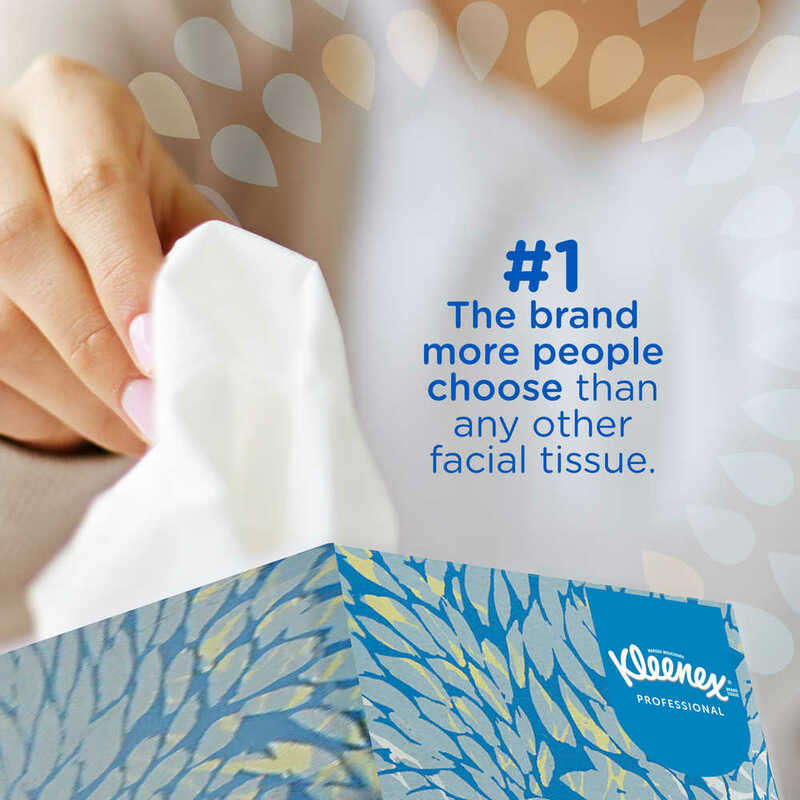 In fact, more people choose Kleenex Facial Tissue than any other brand. 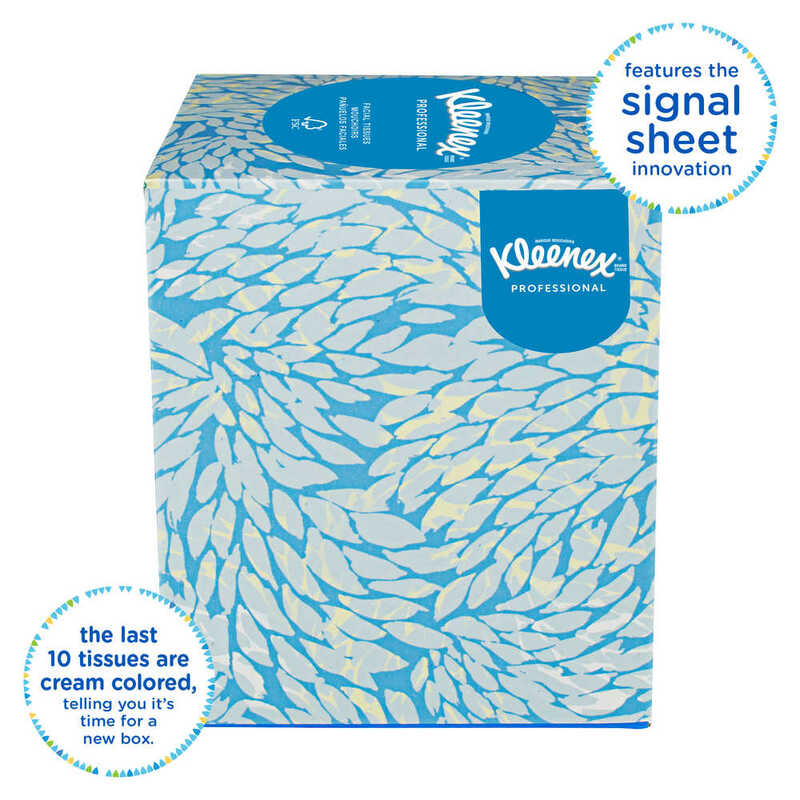 Kleenex tissue offers superior performance, a premium feel and essential softness. When your employees, clients and visitors see the respected Kleenex brand in your offices and restrooms, they'll know that you select quality products, putting forth the best image for your business. 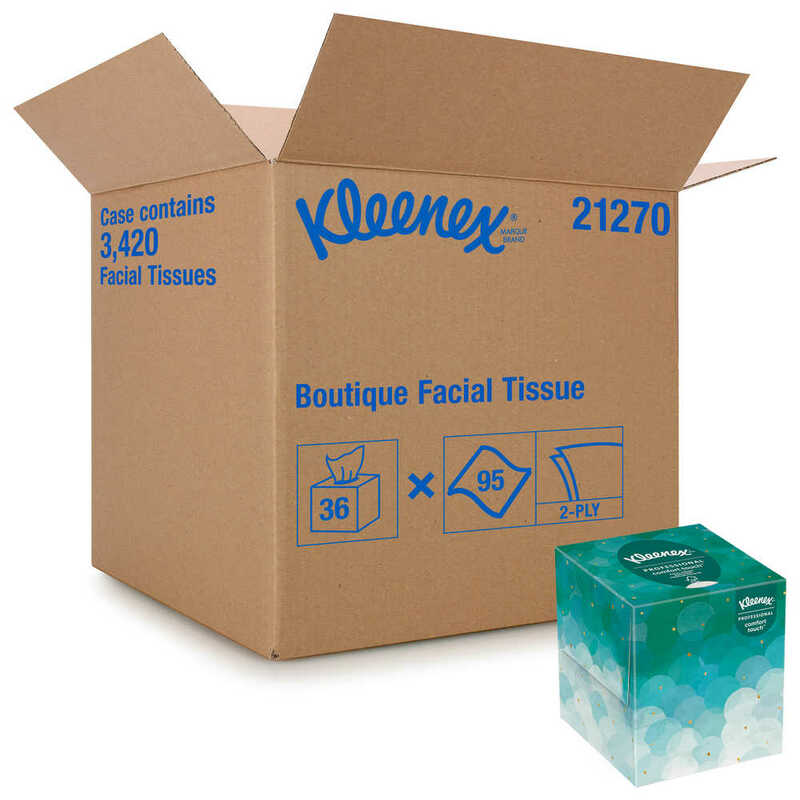 For more than 80 years, Kleenex has delivered the highest quality among facial tissues, providing consumers with smart innovations like an ultra-soft texture and a low-alert dispenser (the last 10 tissues are cream colored instead of white, so you know it's almost time for a new box). 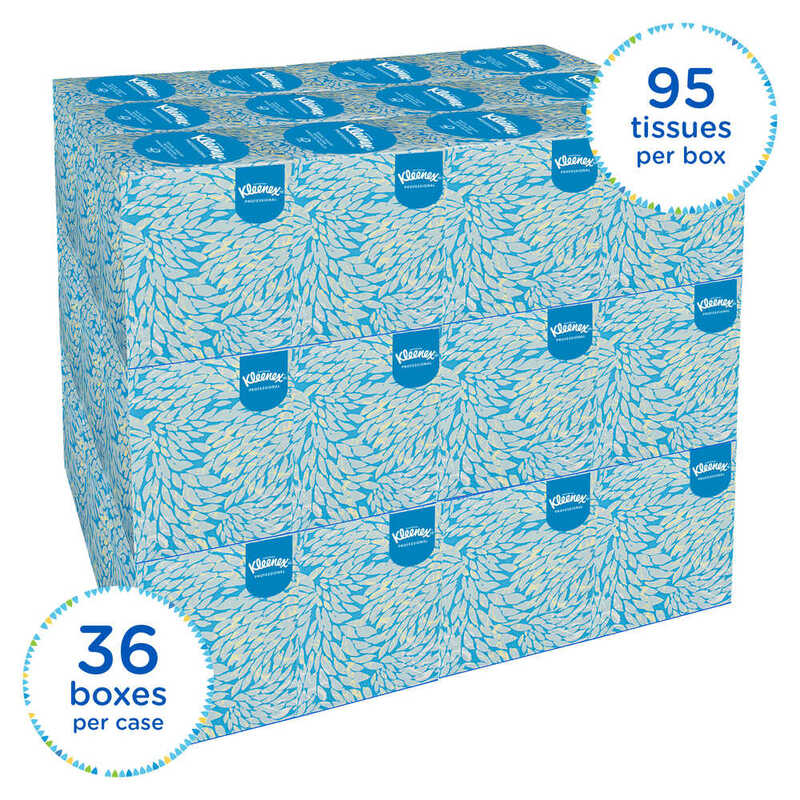 Choosing Kleenex lets everyone know that you care enough to provide the very best. You'll want to buy them in bulk!